Languages: Bahasa Malaysia (Malay) is the national language. Other languages include Chinese, Tamil and Iban. English is widely used. Geography: Malaysia has two geographically distinct areas. 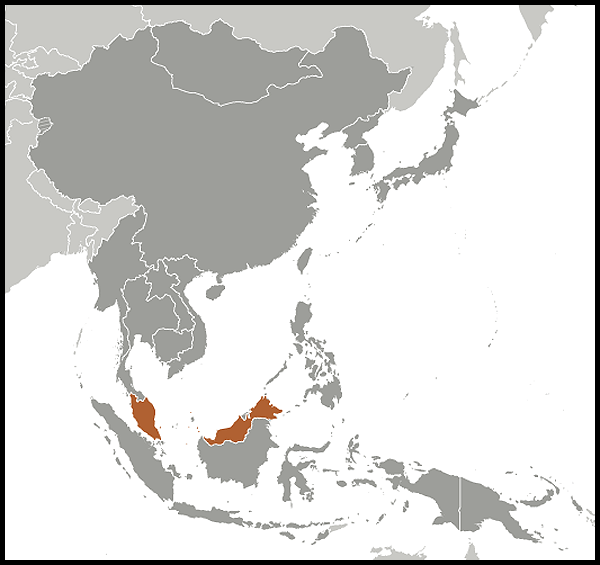 11 of its 13 states are in Peninsular Malaysia, bordering Thailand and Singapore. 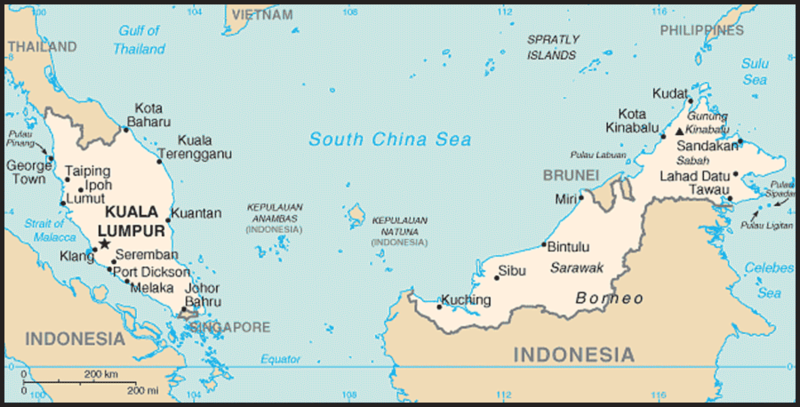 Sabah and Sarawak, as well as the federal territory of Labuan, form East Malaysia on the north of Borneo, bordering Indonesia and Brunei. Major Political Parties: Malaysian political parties are distinguished more by their differing racial compositions than by competing political philosophies. The Government has been dominated since Independence by the Barisan Nasional (BN), a coalition of the United Malays National Organisation (UMNO), Malaysian Chinese Association (MCA), Malaysian Indian Congress (MIC), plus a series of smaller parties (mainly from the East Malaysian states of Sabah and Sarawak and reflecting their complex ethnically mixed populations). The main opposition parties are the Democratic Action Party (DAP), the Pan-Malaysian Islamic Party (PAS), and Parti Keadilan Rakyat (PKR - People's Justice Party). These three parties formed the loose coalition ‘Pakatan Rakyat’ after the March 2008 elections. Government: Constitutional Monarchy: the King (Yang di-Pertuan Agong) is drawn on a rotating five-year basis from the Sultans and hereditary rulers of the states of the Malay Peninsula. Membership of international groupings/organisations: Malaysia is a member of the Commonwealth, the UN, the Asia-Europe Meeting (ASEM), the Association of Southeast Asian Nations (ASEAN), the Non-Aligned Movement (NAM), Asia Pacific Economic Co-operation (APEC) and the Organisation of Islamic Conference (OIC). Malaysia is one of South East Asia's more successful economies and one of UK Trade and Investment's High Growth Markets. Recent GDP growth has raised per capita income to US$7755 in 2010, transforming a commodities-based economy into one with a large, export-orientated manufacturing sector. The economy continued to grow robustly with a 6-7% estimated growth for 2010. Nowadays the services sector (rising to 55% of GDP in 2008) is increasingly important; while both commodities (palm oil and rubber) and oil and gas remain substantial sectors. Since the Asian financial crisis, Malaysia has made good progress in reforming its banking and financial system. Local banks have been consolidated and there is phased liberalisation to allow greater competition. Malaysia has developed its Islamic Finance capability and is now a major hub in the Asia Pacific region. The Government has also progressively dismantled the exchange and other controls imposed during the Asia Crisis - including abandoning the Ringgit peg to the dollar in July 2005 in favour of a managed float. In April 2009 Prime Minister Najib unveiled his New Economic Model which is expected to further liberalise the economy. The chief economic reform facing Malaysia is to move up the value chain in response to the economic challenge posed by China and other low-cost manufacturing economies. The administration has made some changes to improve financial and political accountability, and is seeking to improve Malaysian competitiveness in sectors such as biotechnology. The New Economic Model is expected to help Malaysia continue to grow if it is implemented as planned. -- 1957: Independence for the Federation of Malaya (mainland Peninsular states). -- 1963: Formation of the Federation of Malaysia, comprising the Federation of Malaya, Singapore, Sabah and Sarawak. -- 1965: Singapore left the Federation. -- 1969: Inter-racial riots led to the introduction in 1971 of 20-year New Economic Policy (NEP) aimed at alleviating causes of the tension through enhancing the bumiputra (Malay) economic position. -- 1971 – Present: Country experienced rapid economic growth and industrialisation (with a major but temporary downturn in 1997/98). -- 1981: Dr Mahathir Mohamad became Prime Minister. -- 1997/1998: Asian Economic Crisis. -- 1999: General election returned the Barisan Nasional to power with a reduced, but still two-thirds majority. -- 2004: General election on 21 March resulted in a landslide win by the UMNO-led Barisan Nasional coalition. -- 2008: General election on 8 March: Barisan Nasional coalition returned to power, but with a much reduced simple majority. -- 2009: Abdullah Badawi stepped down; succeeded by his deputy, Najib Razak. In ancient times the Malay Peninsula was settled by waves of immigrants from the north and was later subject to Indian and Islamic influences. A series of indigenous trading empires culminated in that of Malacca which fell to the Portuguese in the sixteenth century. They were ousted by the Dutch who, in turn, were supplanted by the British in the late eighteenth century. Three administrative entities emerged under British rule during the nineteenth and early twentieth centuries: the Straits Settlements of the city states of Malacca, Penang and Singapore; the Federated Malay States and the Unfederated Malay States. The British preserved the Malay system, working through the Sultans of the individual states and respecting Muslim Malay religion and culture. With the development of rubber plantations and tin mines, thousands of Chinese and Indian migrants arrived to work as labourers. Meanwhile, Sarawak was governed by the Brooke family (the 'White Rajahs') and Sabah by the British North Borneo Company. During the Second World War, Malaysia was occupied by the Japanese from 1941 –1945. Anti-Japanese resistance was led predominantly by ethnic Chinese who largely made up the Malayan Communist Party (MCP). British control was restored after the Japanese surrender on the basis of a new Malayan Union constitution, extending equal citizenship to the Chinese and Indian minorities. This was opposed by the newly formed United Malays National Organisation (UMNO). The MCP was not about to give way either and a communist insurgency was soon under way, resulting in the declaration of Emergency in 1948 and the end of the Malayan Union experiment. The insurgency was suppressed with the help of British and Commonwealth forces. 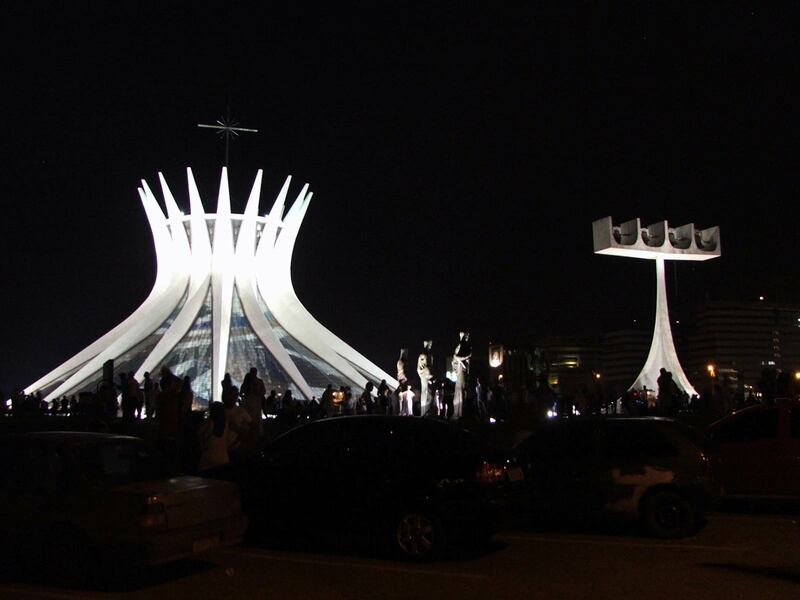 Fighting subsided from 1955 although the Emergency’s end was not declared until 1960. The provinces of Sabah and Sarawak on the island of Borneo became British colonies in 1946. The Federation of Malaya achieved independence in 1957 under its first Prime Minister, Tunku Abdul Rahman, who oversaw the introduction of the country's multi-ethnic coalition style of government, led by the majority Malays with a Westminster style of constitution. Malaysia is an active player on the world stage. Its main foreign policy focus is on ASEAN. Malaysia, the past chair of NAM and of the OIC, also sees itself as a leader in the Islamic and developing world. It has made a valuable contribution to UN Peacekeeping Forces in various countries including Lebanon, Bosnia, Angola, Kuwait, Western Sahara, Liberia and East Timor and as part of the Aceh Monitoring Mission working with the EU. Malaysia runs an active programme of technical assistance from which a number of countries now benefit. Malaysia has been generous in providing humanitarian assistance to those affected by a number of recent disasters. UK/Malaysia relations are strong and deep - especially in the areas of trade, investment, science and innovation and education. The UK’s defence relationship with Malaysia is centred on our common participation in the Five Power Defence Arrangements (FPDA), although we also have a number of bilateral links including a strong Army to Army relationship. In addition to the FPDA annual exercises, the annual UK bilateral programme of security co-operation includes Malaysian attendance on flagship MOD courses, exchanges on issues ranging from Peace Support Operations, Counter Terrorism/Maritime Security and Humanitarian Assistance/Disaster Relief. Co-operation in the education sector is very strong. Over 13,500 Malaysian students are currently studying in UK universities (the fourth largest number of non-EU foreign students); over 30,000 are studying for UK qualifications either fully or partially delivered in Malaysia. More than 80 tertiary institutions have links with Malaysian counterparts and in 2000 a campus of the University of Nottingham was established in Semenyih, 30km South of Kuala Lumpur. Newcastle University is building a medical faculty in Johor, and Marlborough and Epsom Colleges have announced plans to open campuses. Other British schools and universities are looking at establishing a presence in Malaysia. The British Council has offices and English teaching centres in Kuala Lumpur and Penang, and education promotion centres in Sabah and Sarawak. The UK is Malaysia’s largest market in Europe (discounting the Netherlands, whose figures are inflated by transit traffic through Rotterdam), while Malaysia is the UK’s second largest market for goods in South East Asia, after Singapore. The UK has traditionally run a roughly two-to-one deficit in goods trade. However, trade in services is also significant, close to £700 million, with a healthy UK surplus of some £250 million. Taking that together with other invisible flows such as profits from British foreign direct investment, the UK's current account with Malaysia is roughly in balance. In 2010 UK exports to Malaysia increased to £1.23bn. The busiest and most important sectors for UK Trade & Investment (UKTI) in Malaysia are education, oil and gas, and defence. Other priority sectors include Aerospace (civil), Engineering (priority for South East Asia), Environment, Financial & Business Related Services, Life Sciences and ICT. Traditionally, Britain has been a leading investor in Malaysia, with estimated cumulative investments of over £20 billion over the last 30 years. Malaysia’s rapid development, strategic location and political and social stability have continued to make it an attractive place for British investment. So has the development of projects such as the Multimedia Super Corridor (MSC) and Iskandar Malaysia in Johor. The continuing development - and gradual liberalisation of the local services sector - should help Malaysia maintain this position in the future. 18 Malaysian companies are listed on the London Stock Exchange; four are listed on the main board and 14 are listed on the Alternative Investment Market (AIM). Malaysian inward investment in the UK is substantial and growing. It includes: YTL's ownership of Wessex Water (£1.2 billion); Proton's ownership of Lotus; MUI's ownership of Laura Ashley and the Corus hotel chain. The Tun Razak Research Centre, a unit of the Malaysian Rubber Board located in Hertfordshire, is one of the world’s leading rubber research and development establishments. Genting, Malaysia’s international gaming company, acquired Stanley Leisure in 2006 for £700 million and has a 10% stake in the Rank Group. Malaysian companies are also majority share holders of well known UK brands including Crabtree and Evelyn and Costains. On 3 April 2009 Prime Minister Datuk Seri Abdullah Ahmad Badawi stepped down from his post. He was replaced by Datuk Seri Najib Tun Razak of the Barisan Nasional coalition, previously the Deputy Prime Minister. The Head of the Government is the Prime Minister, who must be a member of the Dewan Rakyat (House of Representatives), the Lower House of Parliament. The Upper House, the Dewan Negara (Senate), is composed of Senators appointed by the Government for a period of three years. Each of the 13 states of Malaysia has its own State Assembly headed by a Chief Minister who heads the State Government. The State Governments enjoy significant devolved power in specific fields (infrastructure development, land and the exploitation of natural resources - although not forestry). The Sultans (or Raja in the case of Perlis, Yang di-Pertuan Besar in the case of Negri Sembilan, and Governors in the case of Malacca, Penang, Sabah and Sarawak) enjoy sovereign authority in their states. Elections are held every five years. The Barisan Nasional coalition was returned to power on 8 March 2008, but with a much reduced simple majority. For the first time since independence, the ruling alliance, which won the 21 March 2004 general election by a landslide, lost its two-thirds majority of the seats in Parliament (required to amend the Federal Constitution), and five (now four) of 13 federal states to the three opposition parties, which together formed the Paktan Rakyat coalition. Since 2008 a series of defections from other parties and by-election results have left the Barisan National coalition just 5 seats short of regaining their two-thirds majority.